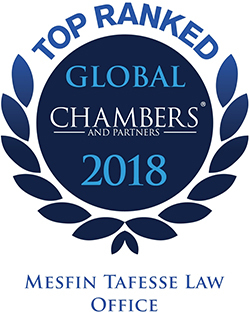 Mesfin Tafesse & Associates (MTA) is a leading corporate law office in Ethiopia focused on providing high quality and timely legal advisory services in core business sectors. MTA’s practice areas are corporate and commercial law, mergers & acquisitions, taxation, power & energy, mining, manufacturing & industries, banking & finance, ICT & Telecom, construction & real estate, employment & immigration and dispute resolution. In more than a decade of experience in corporate legal advisory, MTA has served domestic clients, national and global multinational corporations, private equity and strategic investors, banking and development finance institutions, professional firms as well as public organizations. MTA is a member of the Ethiopian Lawyers’ Association, the African Legal Network (ALN)-a premier alliance of top-tier independent law firms in Africa and the Employment Law Alliance – the largest network of labor and employment lawyers worldwide. 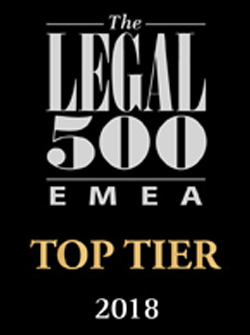 MTA is ranked by Chambers and Partners as Band 1 Legal Service Provider in Ethiopia, Tier 1 law office by Legal 500 and Tier 2 law office by ILFR1000. ‘Information provided in this site does not provide or offer legal or other advice and one should not rely on it as legal advice. MTA does not accept any liability to any person who does rely on the content of this website. The site is for informational purposes and is not an advertisement. MTA is not responsible for the content of any other site, including any site through which you may have gained access to our site or to which you may gain access from our site. We do not accept any liability in connection with any such sites or links. Nothing on this site constitutes a binding offer to perform any legal service.